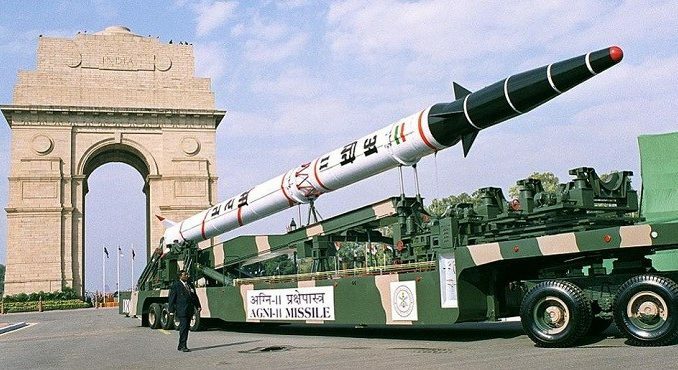 Indian Prime Minister Narenda Modi explained that India had successfully launched an anti-satellite missile into space after launching and destroying its own missile on March 27. The prime minister said the test put India into a league of global “space powers” and was a “historic feat.” NASA, however, has sharply criticized the action, as the missile’s destruction put the safety of the International Space Station (ISS) at risk. “We have identified four hundred pieces of orbital debris from that one event,” NASA administrator Jim Bridenstine explained in a press conference. “We know that 24 of them are going above the apogee of the International Space Station. That is a terrible, terrible thing.” Bridenstine also said the risk of small debris impacting the ISS has gone up 44 percent over a period of ten days but reassured the astronauts currently residing in the ISS are still safe and, though the chance of it happening is low, the ISS can be maneuvered if needed. Only three other countries currently have the capabilities to use an anti-satellite missile—the United States, Russia, and China. Anti-satellite weapons, also known as ASATs, are capable of attacking enemy satellites by jamming communications or destroying them. The weapons can also provide a technological base for ballistic missile defense capabilities. 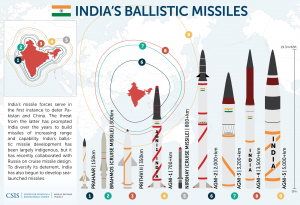 While Prime Minister Modi insisted the test was for India’s defense and security, Bharat Karnad, a security expert with the Indian Centre of Policy Research, said, “It is an anti-China measure. This means that it provided the country with the capability to shoot any Chinese satellite.” The launch of the anti-satellite, however, did not break any international laws. With the U.S., China, and Russia all having space satellites, the issue of militarizing space arises. Since the “Space Race” between the U.S. and Soviet Union during the Cold War, outer space has been an area of concern regarding weaponry and militarization. In 1967, the Outer Space Treaty was put into effect. This treaty allegedly governs how militaries can behave in space but supposedly leaves a lot of wiggle room. For example, the treaty outlaws certain actions, such as lofting weapons of mass destruction into orbit and putting nuclear weapons on celestial bodies like the moon, but what classifies as a weapon of mass destruction isn’t specified, and there’s nothing about weapons that wouldn’t cause mass destruction. The Trump administration’s plan to establish a Space Force, a sixth military branch, also goes to show how outer space is a domain that remains vulnerable to militarization. The Space Force’s main objective would be to serve as the authority of military space operations. Despite the backlash from NASA and other governments, the U.S. government stated that it was immediately aware of the missile’s launch and provided notifications of its presence to satellite operators. Bridenstine said that better space situational awareness and debris tracking is needed, warning that if more countries start testing ASATs, the problem could become worse.